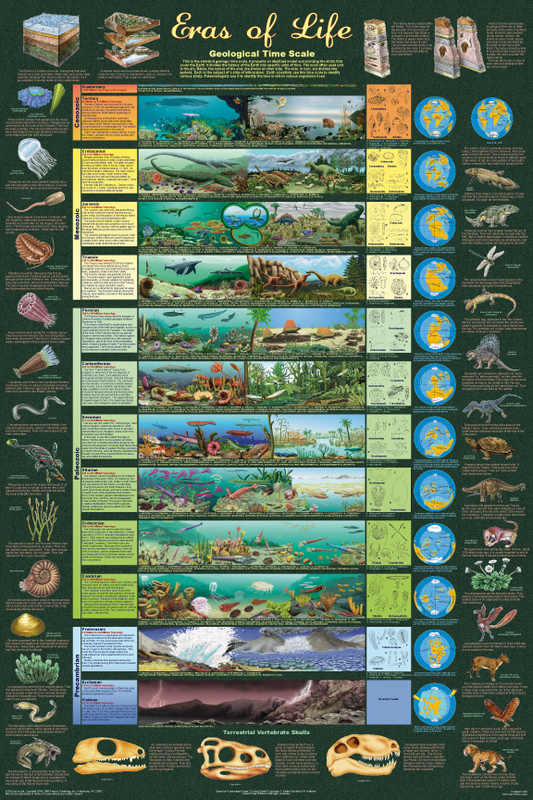 This magnificently illustrated geological time chart provides an extensive exploration of life as it existed in each era. Each is represented by a strip of illustrations showing animal and plant life both on land and in the seas, the fossil record and a globe that shows the positions of the continents due to continental drift. The margins are filled with additional information: cladograms on various life forms, atmospheric conditions and many other fascinating subjects. Highly educational and extremely decorative, this poster is perfect for display in classrooms, homes, offices, laboratories and just about anywhere that learning takes place. 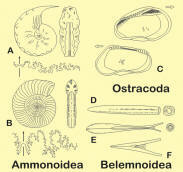 The Jurassic Era, Twenty-two species are shown. They are identified through the use of a number key.